South Africa is one of our oldest friends. We saw a stunning country that lent itself beautifully to our penchant for pedalling, and knew we absolutely had to introduce B&R travellers to it. It’s hard to believe that so much beauty, diversity and wine can be found so close to Cape Town—not to mention truly spectacular biking. In fact, this trip is not unlike many of our European jaunts, as we explore a compact area and stay in one elegant hotel after another. 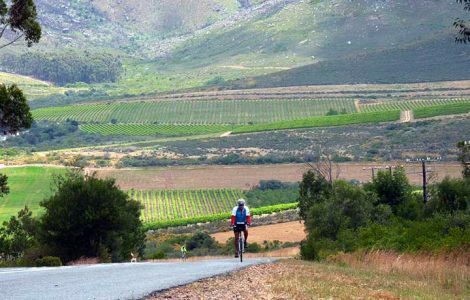 Pedalling along roads lined with dramatic vistas, we cover the Cape Winelands and cross over dramatic mountains, entering the Klein Karoo and Overberg. 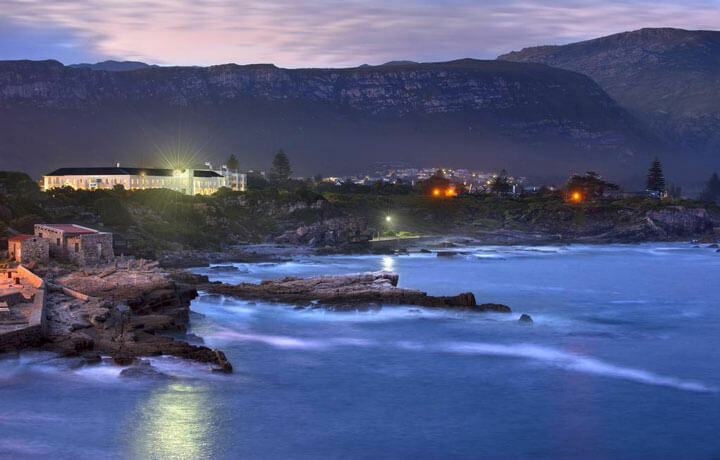 As our trip winds down, we will visit the coastal town of Hermanus before ending up in Cape Town. Welcome to South Africa! 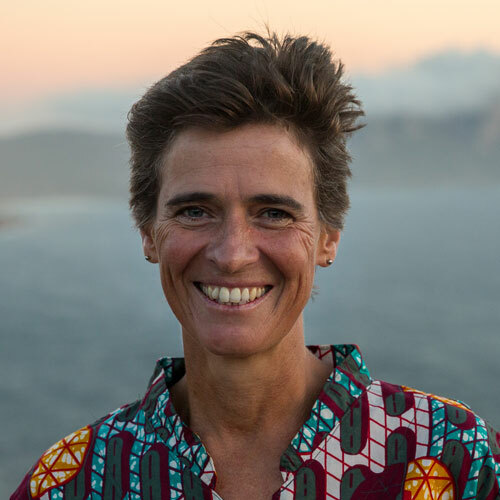 Upon your arrival at the Cape Town International Airport, your guide will be waiting for you in the arrival hall. Spend the day exploring your surroundings. 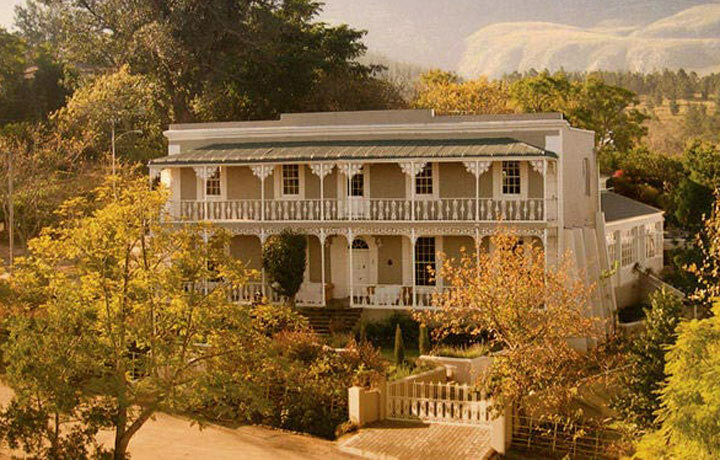 A short drive from your farm hotel will bring you to the quaint country village of Franschoek. 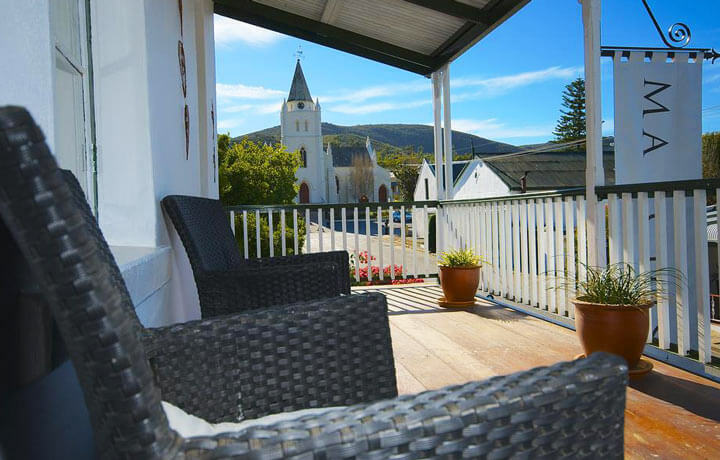 We’ll pedal the back streets of Franschoek and explore the surrounding wine farms. Our route takes a scenic ride through wine country on undulating asphalt roads making our way to historic Stellenbosch, with options to taste wine and experience cellar tours along the way. We end our ride at the beautiful Middelvlei Wine Estate to enjoy a traditional braai (BBQ) on the manor house’s lawn. 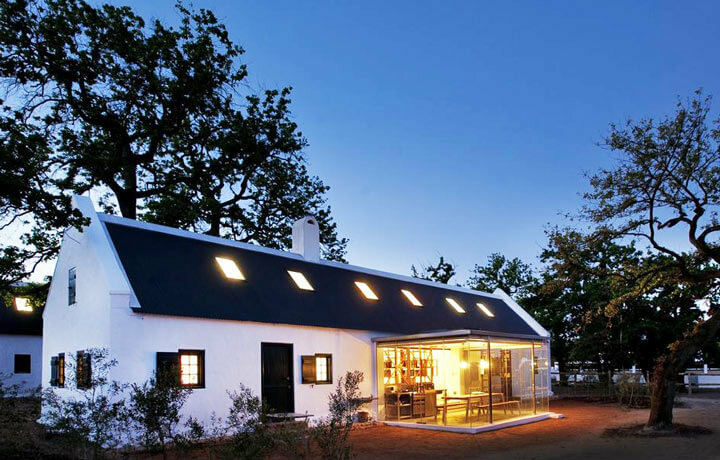 Hop on your bike and cycle into the remote frontier town of Montagu, arriving in time for a farm-style lunch. Get settled in your lodge before spending the remainder of the afternoon wine tasting, exploring the town or taking a hike around a nearby canyon. Leaving directly from the front door of the hotel, today's ride takes you through a dramatic canyon with soaring twisted rock faces and into the rolling hills of the scenic wine country. We will make our way to the rural farming community of Bonnievale and have lunch on a wine farm along the banks of the Breede River, the life blood for this arid region. 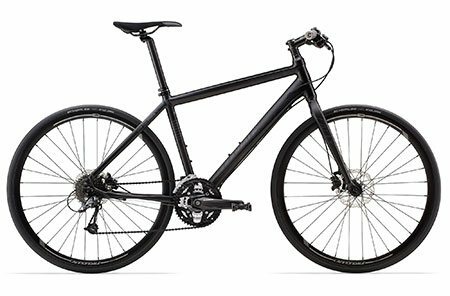 Bike on beautiful broad roads with stunning remote mountain scenery. The route drops down to the dramatic Tradouw’s Pass, revealing its wonderful rock formations, and take you to the missionary town of Suurbraak for lunch at an organic vegetable farm. Our ride takes us through the vast fields of wheat and down the Caledon Pass into the beautiful Hemel en Aarde (Heaven and Earth) Valley, one of the Cape’s premier wine regions. Whet your palette while we will stroll through the vineyards to understand the fine art of viticulture and to sample the wines. Early this morning we’re trading in our bicycles for kayaks to search for whales and seals in the bay. After breakfast at the hotel, we’ll drive beside the spectacular False Bay coastline, taking out the bikes along the way for a scenic ride to soak up the views. After a quick walk to the colony, we will ride from Simonstown along the beautiful False Bay coastline, gradually ascending to reach the famous Cape of Good Hope, commonly called Cape Point. Either climb or take a cable car to the top of Table Mountain. 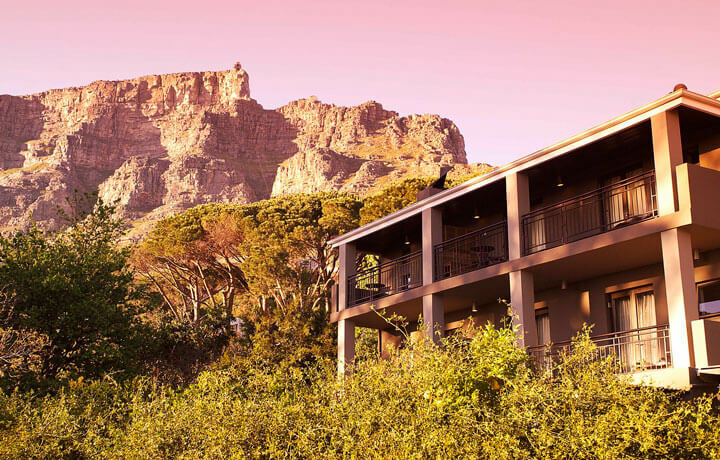 Ride down the famous Table Mountain Ariel Cableway, returning to the city in time for lunch at a home-hosted affair in the Bo-Kaap, the Cape Malay Quarter of Cape Town. After breakfast, your guide will drive you back to Cape Town International Airport for your journey home. Safe travels! 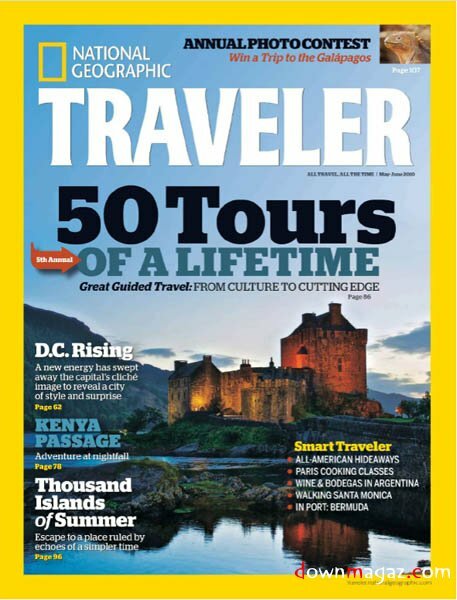 This trip is rated Enthusiast, meaning it’s appropriate for travellers who bike about once a week at home. 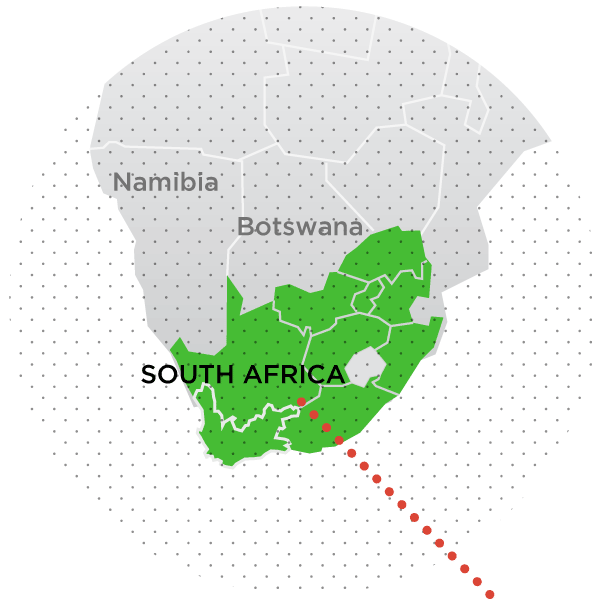 Daily biking distances usually vary from 25 to 40 km amid the vineyards, farmlands and coastline of South Africa’s Western Cape. The riding is on predominantly asphalt roads, with the occasional compact dirt road. You can expect to encounter a few steep hills and at least one steep descent. There are plenty of shorter and longer options available each day to accommodate a wide range of fitness levels.